With Martha Reeves celebrating her 75th birthday, Getintothis’ Shaun Ponsonby excitedly reports on a unique evening for Motown fans everywhere. 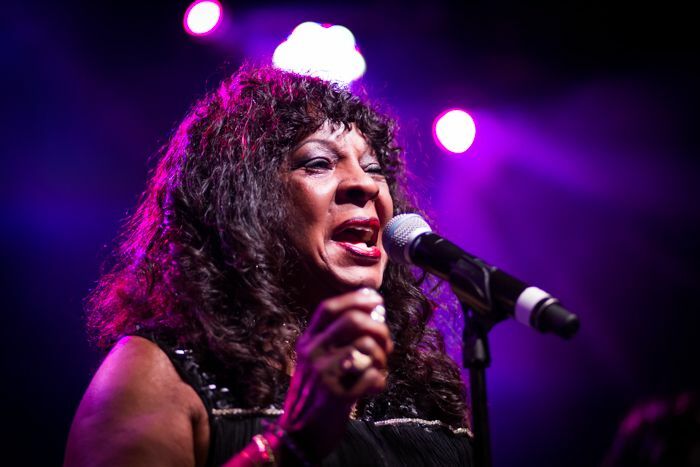 Following a triumphant set at the Arts Club last year, Motown legend Martha Reeves has announced a very special performance at the Cavern this summer in celebration of her 75th birthday. Titled Live and In Conversation: An Evening With Martha Reeves, the night will begin with an intimate discussion between Reeves and award winning journalist David Nathan. Reeves will then perform a full set of hits and fan favourites. The interview segment will no doubt focus on Martha’s incredible career as one of the most distinctive presences at Motown. Prior to being amongst the labels’s most distinctive voices, Reeves served as the secretary at the Motown offices. She oversaw many of the day-to-day operations at the company, and was present at the auditions of many of their early stars. Check out our conversation with the man behind the songs, with Getintothis’ Shaun Ponsonby‘s amazing interview with Motown songwriter/producer Lamont Dozier. She eventually began singing as backing vocalist on Marvin Gaye’s first hit, Stubborn Kinda Fellow, leading to her own group. Martha & The Vandellas went on to record a plethora of iconic hits, including; Nowhere To Run, Heat Wave, Jimmy Mack, Quicksand, Ready For Love, Love (Makes Me Do Foolish Things). For all the talk of Diana Ross & The Supremes being Motown’s biggest girl group, it is the Vandellas’ Dancing In The Street which is the label’s most enduring anthem, and it is Martha Reeves who provided the southern grit to Motown’s otherwise pop-friendly soul. For Motown fans, this is will surely be a night to remember, and a unique glimpse into the greatest record label there has ever been. Live and In Conversation: An Evening with Martha Reeves takes place Sunday, August 14 at the Cavern, Liverpool. Tickets are available here.